Heading south along the Chilean coast, we’ve explored a landscape molded and carved by volcanos and glaciers. It’s a stunning region and I’ve particularly enjoyed stopping in ports along the way. Our first stop after Valparaiso was Puerto Montt, where I had the opportunity to tour inland by bus. We visited one beautiful glacier carved lake, with the Andés rising behind it. 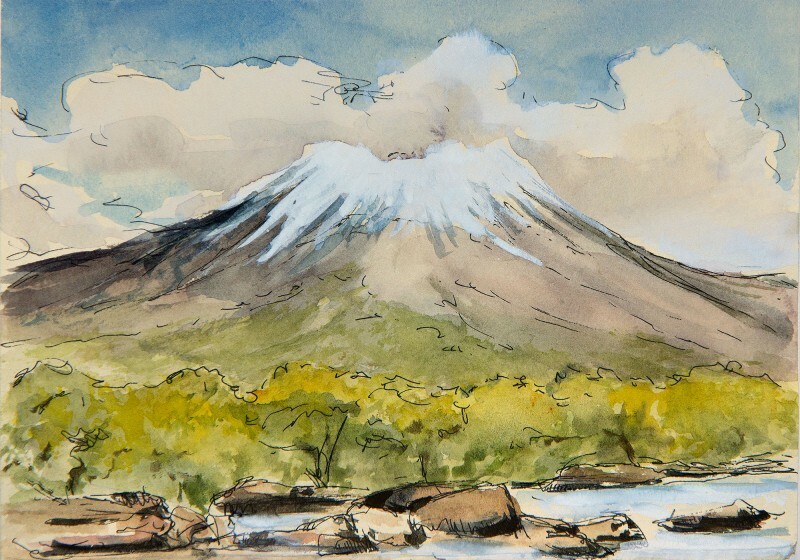 The region has a network of volcanos, all of which were capped by clouds during our visit. Continuing south, we stopped at the port of Castro. 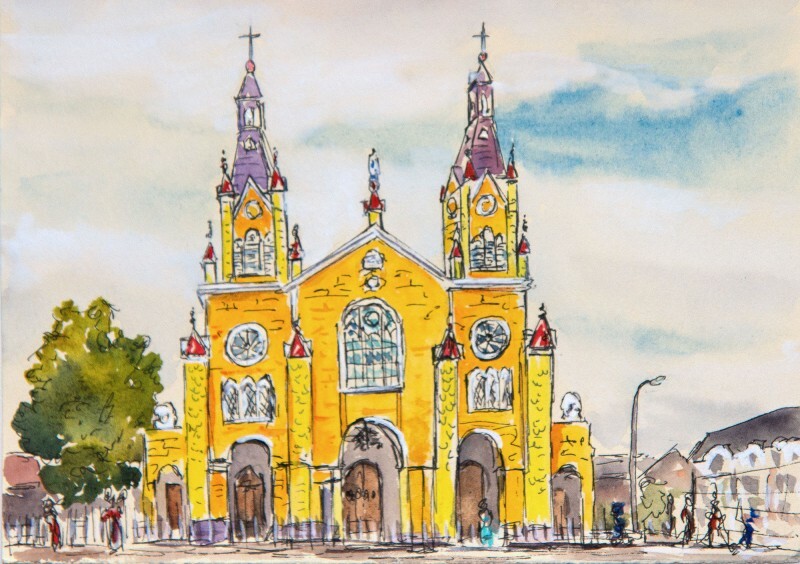 It’s a colorful town, with a unique wooden cathedral that’s listed as a UNESCO World Heritage Site. It was designed by Italian architect Eduardo Provasoli and is made entirely out of wood. Every five years the town votes on a new color to paint the cathedral. Apparently school children chose the yellow and purple! Leaving Castro, we cruised through the Chilean fjords, and woke up Christmas morning to a dramatic view of the Brujo Glacier. Later in the day, we reached Punta Arenas where I particularly enjoyed visiting the Shackleton Bar. 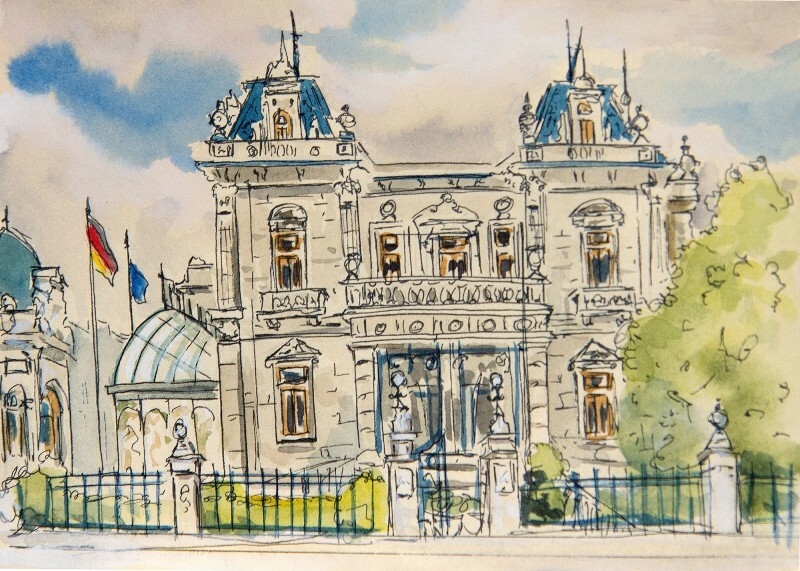 It’s inside the historic José Nogueira Hotel which was built in 1890 and is a Chilean national monument. The famed Earnest Shackleton visited the mansion to plan the rescue of his men from Elephant Island. 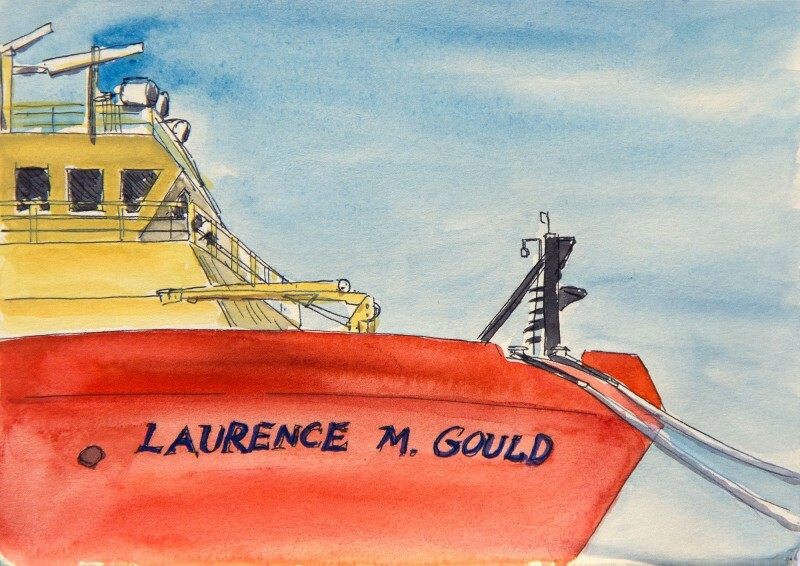 I also had a chance to see NSF research vessel Laurence M. Gould, which is a platform for polar research and resupplies science stations. Gould was also a president of Carleton College, my alma mater. The crew were kind enough to give me a ship tour! Finally, our last stop along the Patagonia coast was Ushuaia, Argentina, which I last visited in 2008 on my second voyage to Antarctica. Dramatic mountains rise behind the town, which is located at the southernmost tip of South America. 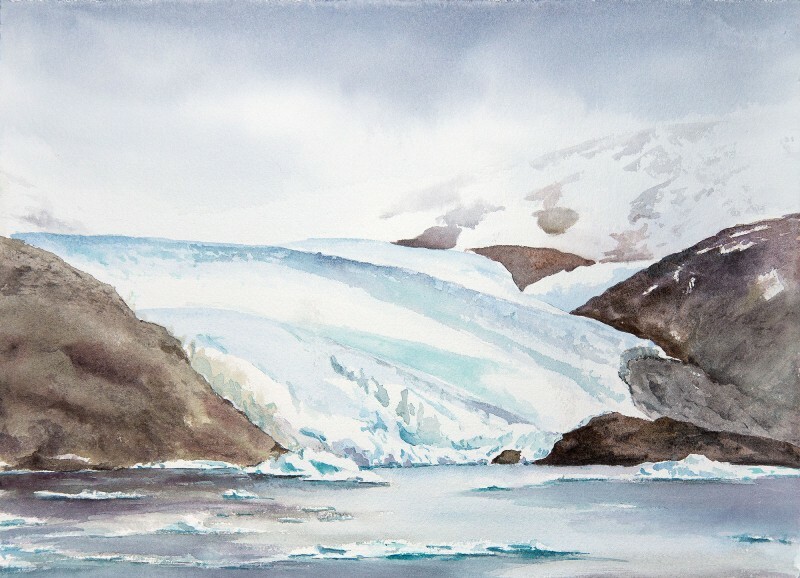 It’s our jumping off point for Antarctica and I can’t wait to paint ice! Read the next post, South Shetlands.